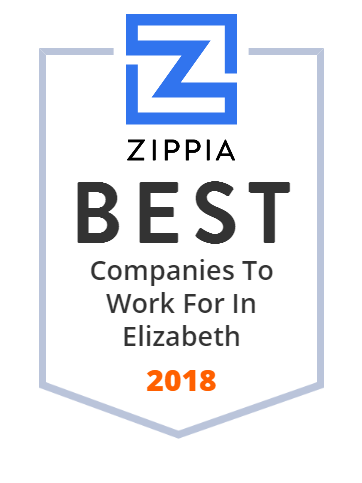 We hand-curated a list of the best companies to work for headquartered in and around Elizabeth, NJ using data on salaries, company financial health, and employee diversity. Founded in 2000, Trinitas Regional Medical Center is a full-service healthcare facility serving people in Eastern and Central Union County. This 554-bed hospital boasts high-quality medical equipment and experienced healthcare providers offering the most advanced technological care in every area of medicine and surgery. The hospital treats over 17,000 in-patients, 70,000 emergency patients, and hundred thousand outpatients annually. Community Access Unlimited (CAU), celebrating its 39th year in 2018, supports people with special needs in achieving real lives in the community. CAU gives a voice to adults and youth who traditionally have little power in society, assisting its members with housing, life skills, employment, money management, socialization and civic activities. CAU also supports opportunities for advocacy through training in assertiveness, decision-making and civil rights. Currently serving more than 5,000 individuals and families, CAU continues to grow each year. Alpha Wire is a reliable company that has been engineering high-quality, premium-grade wire and cables for more than 90 years now. The company designs and manufactures every cable to meet the critical demands of real-world applications using premium materials, advanced manufacturing, and world-class quality control. Alpha Wire offers wire, cable and FIT heat-shrink tubing and wire management products to customers worldwide. For over 50 years, Astrodyne TDI has been designing and manufacturing innovative power solutions for demanding applications worldwide. The company power supplies and EMI filters for industrial, medical apparatus, consumer appliance, aerospace, military, and other markets. It has engineering and manufacturing centers in the United States and China. The Jewish Educational Center is a yeshiva school established in 1940 serving students in pre-kindergarten through twelfth grades. JEC is accredited by the Middle States Association of Colleges and Schools Commission and its curriculum is consist of Judaic and secular studies. The school also offers advanced placement courses such as chemistry, physics, calculus, history, literature, and statistics. Union County is a county in the US state of New Jersey. Since its founding in 1945, Atalanta Corporation has been a leading food importer of cheese, deli meat, charcuterie, grocery, seafood products, and other unique items from around the world. This privately held corporation serves retail and specialty markets, manufacturers, and foodservice distributors in the United States. In 2018, Atalanta received Food and Beverage Awards (FABI) from the National Restaurant Association.